This show mixed identity politics, burlesque and carnival – with mixed results. On the stage there sat a large honeycomb, at times brightly lit, with a declaiming woman on top, all the better her message to impart. When she didn’t have anything coherent to say, she swore – or she urged the audience to ‘make some noise’ – it was that kind of show. The signal- noise disparity in due course drowned out the former. Other than that, over perhaps an hour and a half, the show had dance, songs, comedy and (to be just) some impressive acrobatics. It was, at certain moments, entertaining. 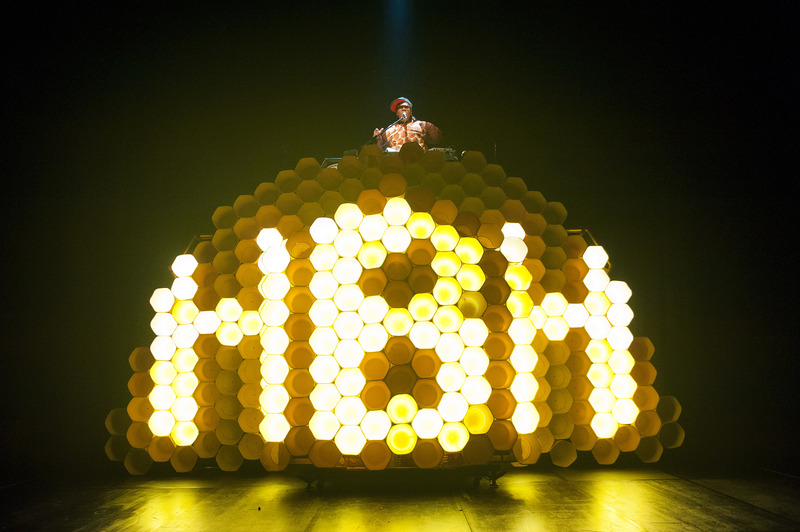 Hot Brown Honey is showing at HOME until 23 December, further details can be found here.